This sparkly, little number is from the John Hardy Bamboo collection. 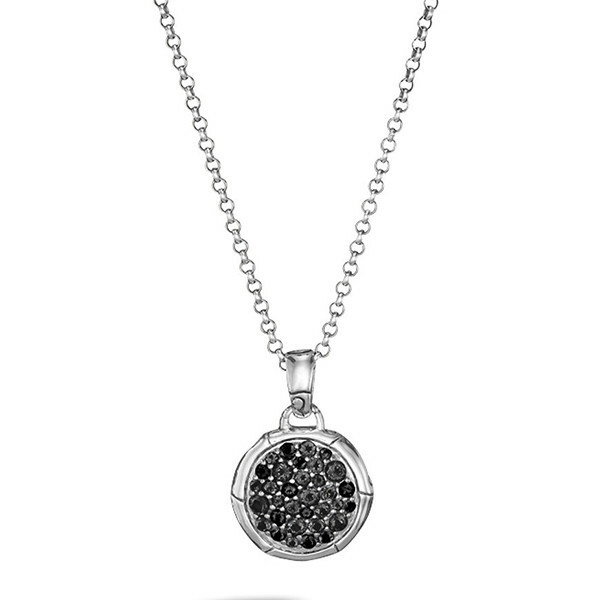 A pendant of sterling silver is handcrafted into the bamboo motif while black sapphires wink from the center of this charm. 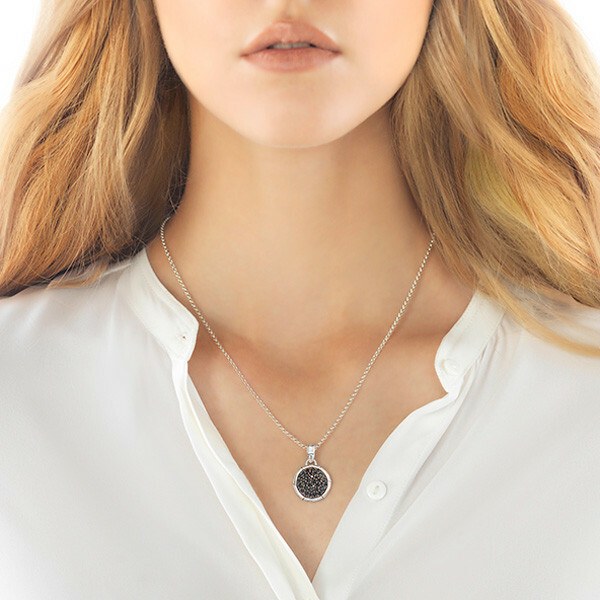 A sterling silver chain, adjustable from 16" - 18" holds this pendant. Add a touch of class to your wardrobe with this John Hardy treasure! 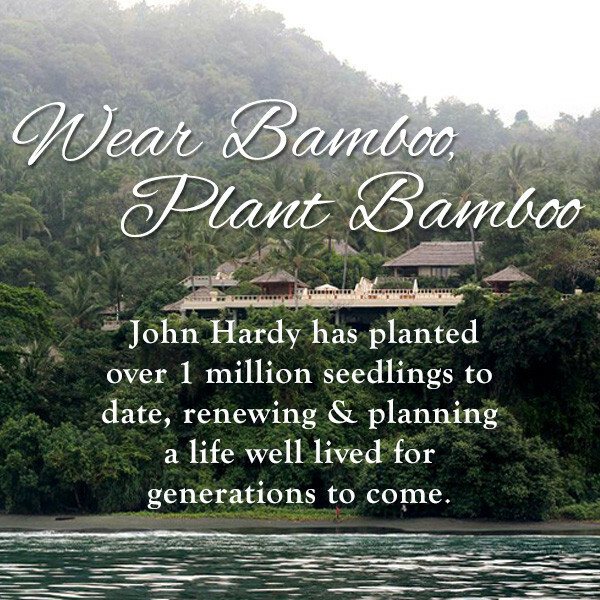 Two bamboo seedlings are planted with the purchase of this John Hardy pendant.